Quilt top before I quilted it. This weekend I had the pleasure of saying hello to a little person who was just 21 hours old when I met her! My good friends from High School, Steph and Steve, had their first little girl, Charlotte Taylor. 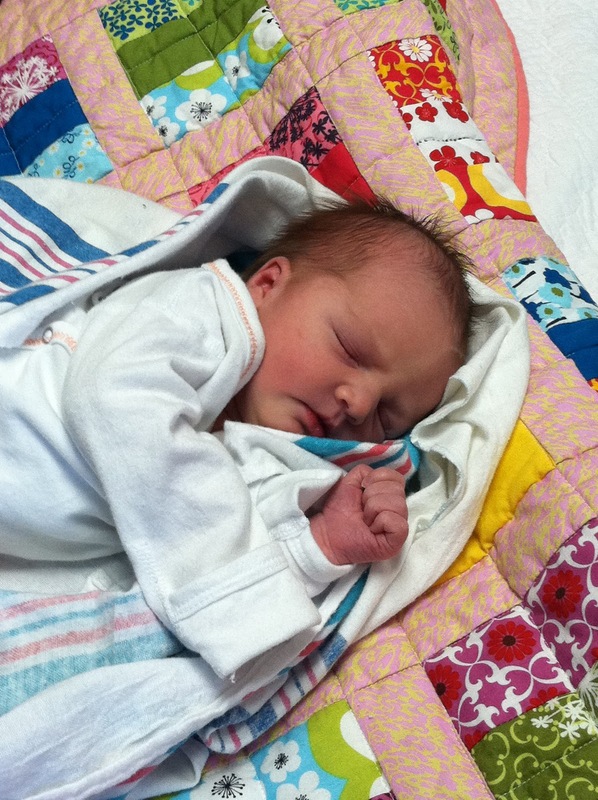 She was just perfect and I see a lot of spoiling from her "Aunt" Grace in the future! 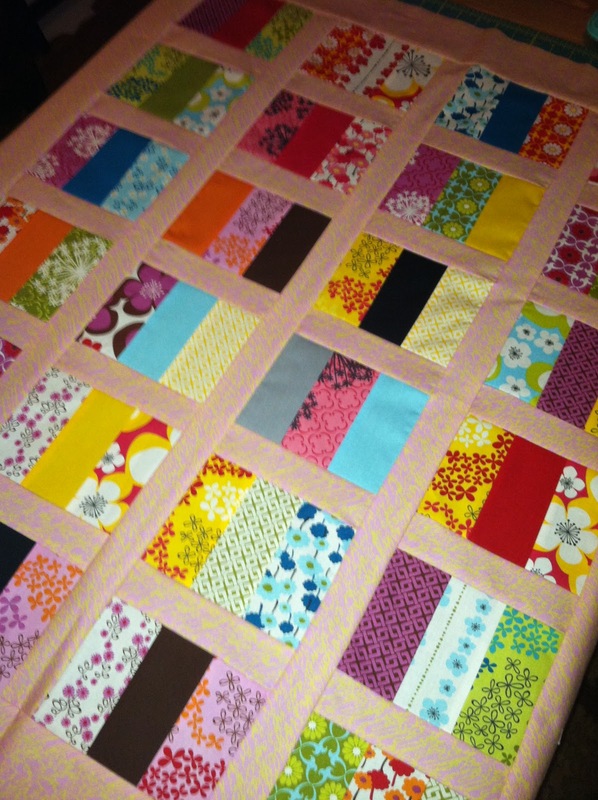 I made baby Charlotte a quilt using a Moda charm pack that wasn't marked so I don't know the name. If the fabric looks familiar to anyone I would love to know the name! I used a cute pattern that I found on the Katinka Brusslesprouts blog. 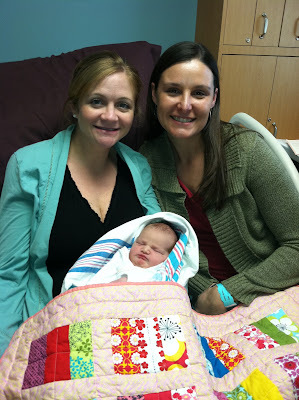 Stephanie and me with baby Charlotte (looking like a cure little sumo wrestler). Thanks so much Denise! I have been trying to figure it out because I'm in love with the Queen Anne's Lace pattern and have wanted to buy yardage. Hooray, now I know what to shop for!